I popped over to the Saatchi Gallery over the weekend to see part 2 of the exhibition Newspeak: British Art Now. I've taken a load of photos of the show which i'll post about later on this week, however there was an exhibit in gallery 13 that was so amazing i thought i'd give it it's own post. Richard Wilson's 20:50 transforms gallery 13 into an epic illusion, something you have to see in the flesh to truly appreciate. Upon entering the space from the entrance platform you view a room which confuses your perception of the space. At first i thought it was a double height room with a sheet of black matt fabric stretched across it. 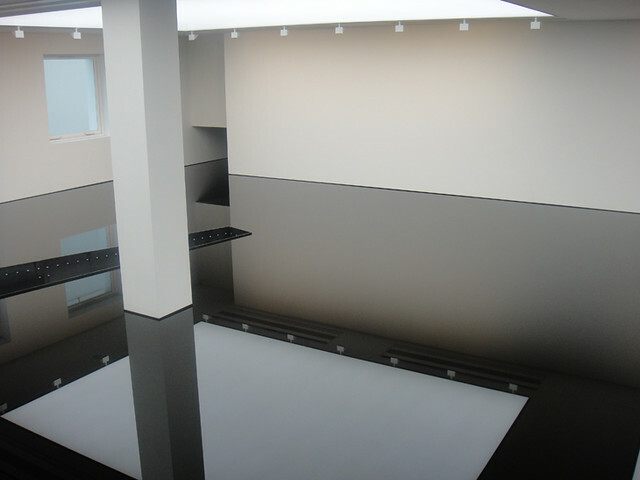 I then realised the room was shallower and that instead of a matt surface, it was in fact a reflective surface mirroring the ceiling and the gallery architecture. 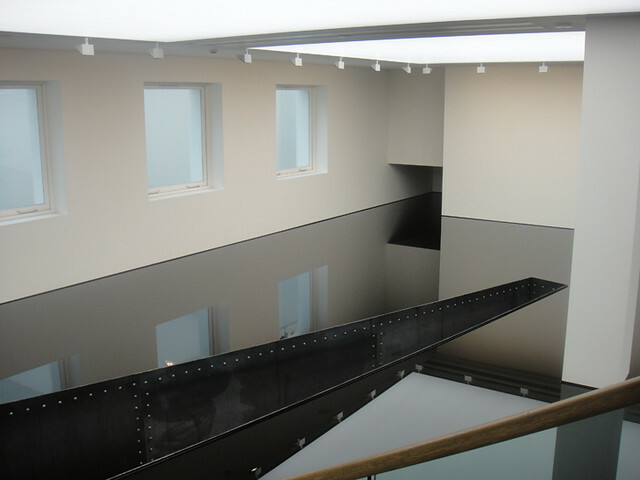 It was only later whilst reading through the Guide i discovered the room is in fact "entirely flooded with oil"
As i said you have to see it in person to really appreciate the optical illusion, to get a preview of part 2 of the Newpseak: British Art Now and see more pictures of Richard Wilson's work click the link to my flickr set.